Sharps PN-70SC5 is the first of the industry-leading BIG PAD interactive displays to have optical bonding as standard for eyecatching image brilliance and a more immediate touch response. The incredibly positive touch experience means that users are more confident and poised when teaching, presenting, or leading a discussion. 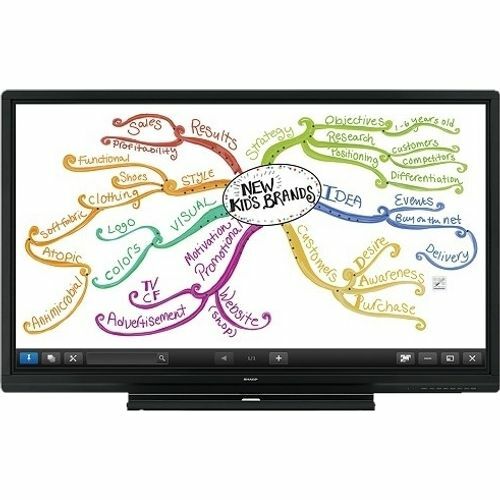 In the classroom, lecture theatre or office training rooms any teacher will appreciate the direct access to Freeze-Frame and Blackout buttons for even more control and security. The Freeze-Frame button allows content to be frozen on screen, whilst the presenter continues using a connected device without disturbing the audience. In addition, the Blackout button blacks out the screen and instantly focuses the audience or group attention back on the presenter. In an office meeting room or the boardroom, any collaborative work group will immediately benefit from higher attention level and a more focused approach to discussion and decision making.